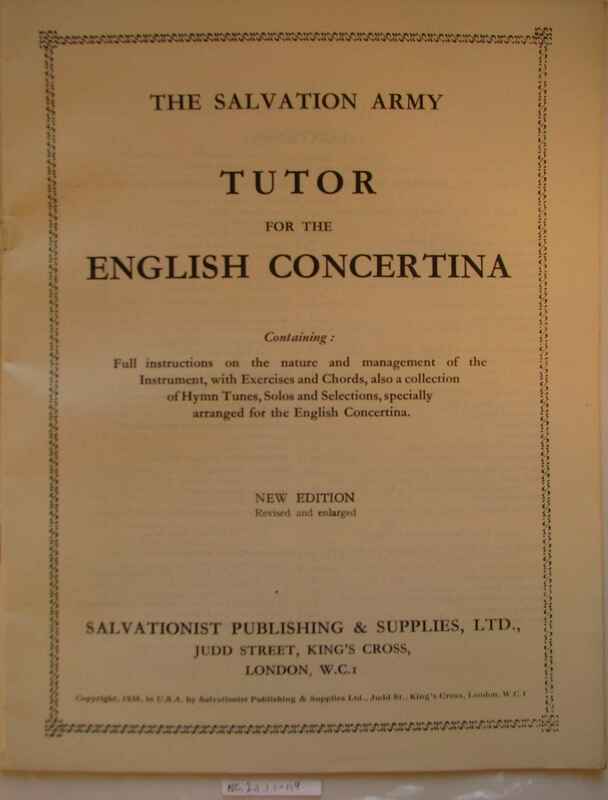 Full Description: Minting Tutor Books: The Salvationist Army Tutor for the English Concertina. 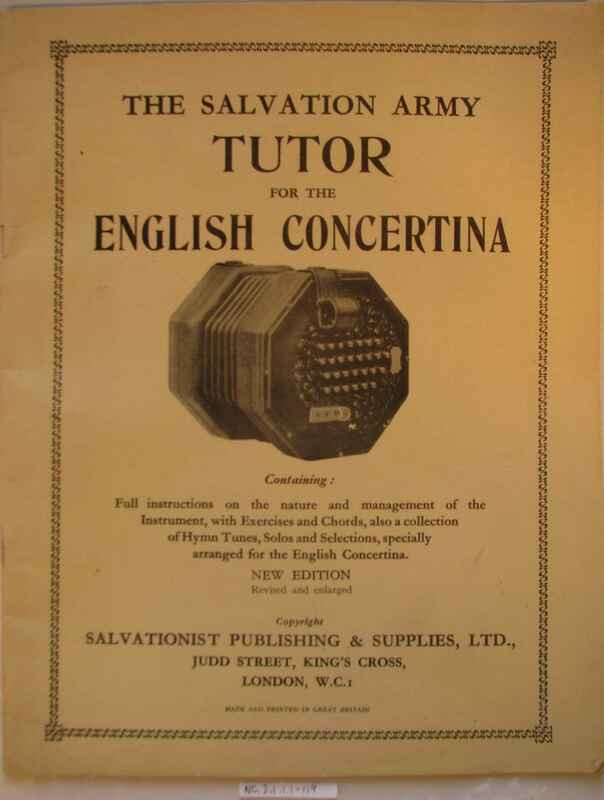 There are two copies of this tutor for the Triumph Concertina, This tutors was probably part of Mr Minting's stocks at his West Wickham music shop. 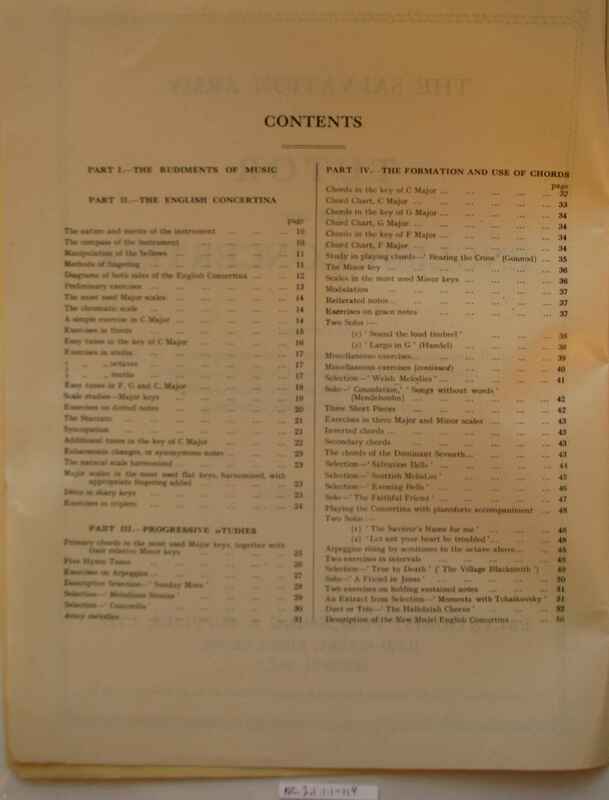 They are imprinted "Salvationist Publishing & Supplies Ltd, Judd Street, London WC1, New Edition, revised and enlarged, Copyright 1935", and published from the Judd Street address.